Your skills are coming on leaps and bounds fella, nice to tried and tested methods used in different settings. And those hanging plants, dont think Ive seen them before, nice! So a small update to more work on Lord Edgar's Disappearance. Many new assets going into this FM that I've been knocking out in sets. Basically combining like six models of the same theme on a single texture sheet (in hopes to reduce draw calls) since I'm putting a ton of models into a single scene. Here's a little thing I started working on yesterday. 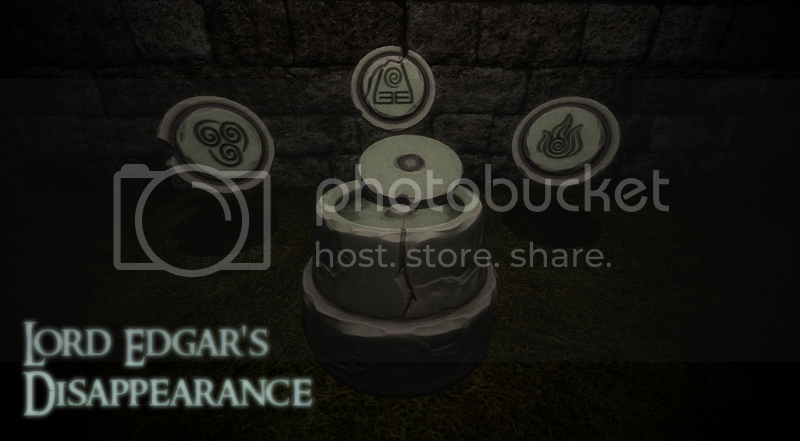 A new addition for TDM (while strangely familiar to this fan base ) are the talismans of the four elements! Man, if you have the time we would appreciate you updating all our old models. All the models you have built this far are fantastic! There's a bit of a line for different requests I gotta work through first, but I'd be very happy to take a look at what you need. Nice, will hit you up for 2.06. Pretty cool, though something about that style stands a bit apart from our other models...the rock texture looks like it was hand-painted in more of a WoW style. That's right, it was sculpted out of mudbox so those are hand scraped edges that went into the highpoly. I'm not trying to go for a different style however, that just tends to creep in with the factor of hand painted vs simple tiling. I've been on the fence about adding more grit (specifically to the normal map) as I end up losing a lot of the sharp cuts on the edges since that's happened with some past models. What gets difficult is trying to model something that looks good under direct light as well as just the world ambient. It can be a real pain as I have models that look great under a dynamic light where the normal/specular maps are rendered and then look strange when only seeing the diffuse. Edited by Epifire, 26 November 2016 - 08:22 PM. The first shot reminds me of Quake 1. In a good way. The fourth one might benefit from some more colour variation. Yes, but I don't know exactly what to add to break up the monotony... It's not a place you can reach (as for now) It's a noclip-photo as to speak. Only through some kind of lights coming off the top of the walls. Suchs as torches and such. But not too many, else the atmosphere goes away. 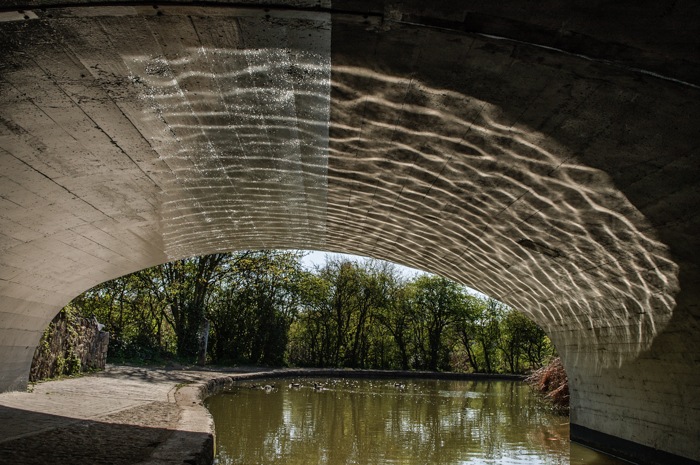 How about some subtle caustics like this? A couple more shots from my city mission. Love the fight between the cold and warm colors. Very reminiscent of Thief 3 Art Direction where the blues and oranges competed with each other and made a great feel. Thanks! 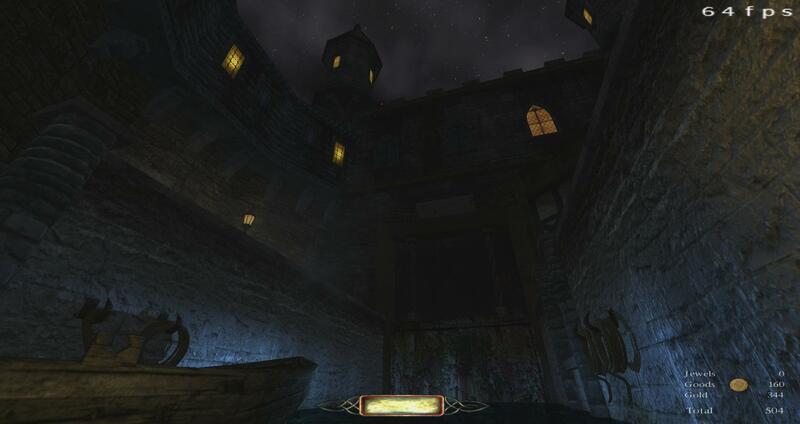 Thief: Deadly Shadows has certainly been a big inspiration for my WIP as I've been playing through the game alongside working on my map, also I've always been a big fan of the ambient color scheme they used too. Nice to see some good people working on some good-looking FMs! Keep up the good work! Geometry and detailing is mostly done. It is an old map, built first with the old technique and then later continued with modular technique. I have devised the plot (an Ulysses assassination job) and started putting AI and patrols in, but was distracted by making some custom animation, because it was a lot of fun. RL has been very busy recently, so I have had very little time to work on it. Initially I thought of getting it released around new year, but at this pace it seems unlikely. Probably before the summer, then? Some interresting/frustrating thing with my mapping style (that could perhaps be fixed by proper planning) is that I often end up with a nice looking house with some decent interiors (not furnished yet) and then start to wonder..."Hmmm, what should this building be for? I had a tavern in mind but the layout isn't much tavernish..."
Also I tend to hollow out more than I planned to do..."Oh, look! This house looks nice...Hmm, this is a nice place to position some pipes so the player can get up to that window...Let's hollow out the house!" Identifying the problem is the first step in solving the problem. But it is only a problem if you think it is a problem. It is good that we have mappers with different philosophies. I try to work in the mode of efficiency. How can I get maximum playability with minimum amount of work? I plan. I experiment with layouts with minimal work (throwing modules around) before committing to build it further (add sealing geometry.) If something is built, it stays. Minor revisions are possible but I avoid rebuilding like the plague, it is very inefficient: work with no benefit. The mapping process is fun in itself, but most rewarding is getting stuff done. What ever happened to this..? Since the last post I spent most of the mapping time creating setting and moods. And near completed a few areas with fine-tuning colors, lighting. shadows and sounds. The three pics above well represent where I aim to regards atmosphere. The bad news: building is on hold for the time being, as for RL prios. Like to finish the map, sooner or later. Edited by fllood, 17 December 2016 - 06:32 PM. fllood's work is a delicate flower, slowly blossoming and maturing over the years. I recall Johannes saying that he will never abandon his mission. Though I suspect his motivation suffered when he saw how much time it takes to make progress when your level of detail goes as far as modelling every single brick in every wall and floor. 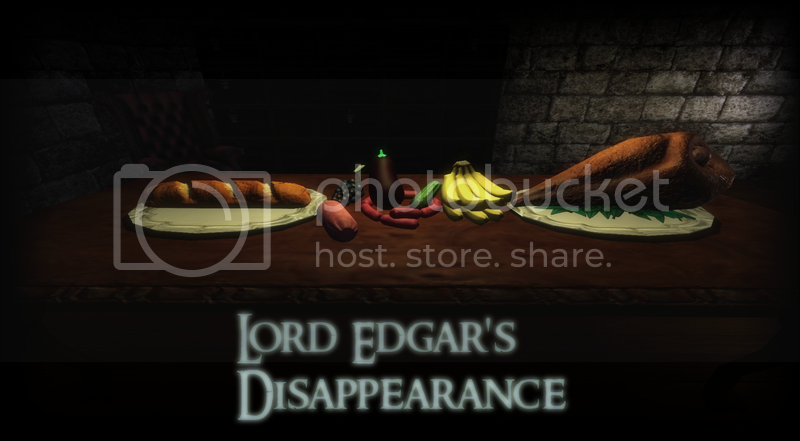 Pleased to announce the food set going into TDM with the Lord Edgar fan mission is now complete (by complete I mean the food not the mission)! And yes that is an eggplant. Edited by Epifire, 06 January 2017 - 11:24 PM.